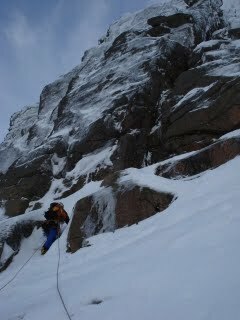 Yet another fantastic day on Cairngorm. 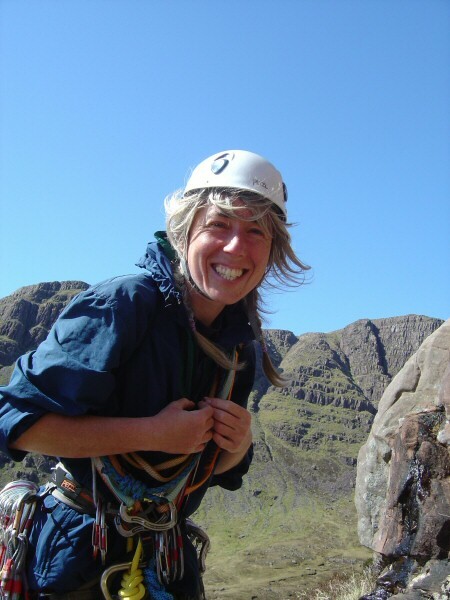 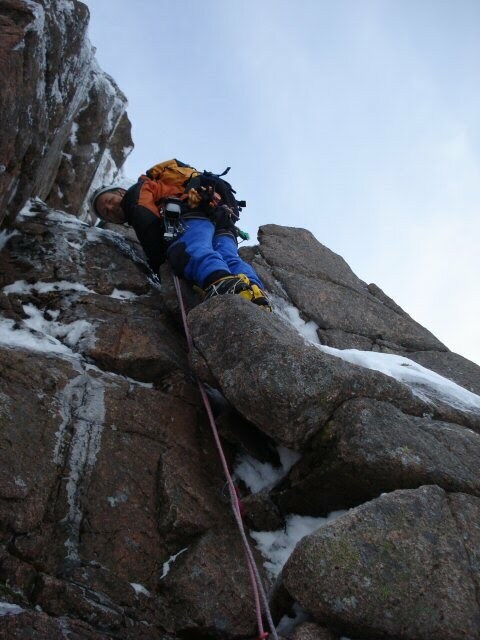 I could get used to all this good weather and great climbing conditions! 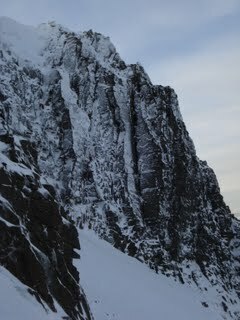 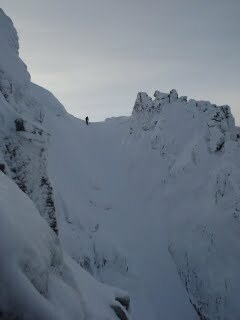 Ron and I walked into Coire an Lochain to climb Central Crack Route. 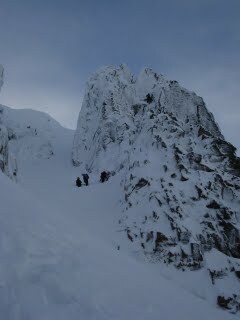 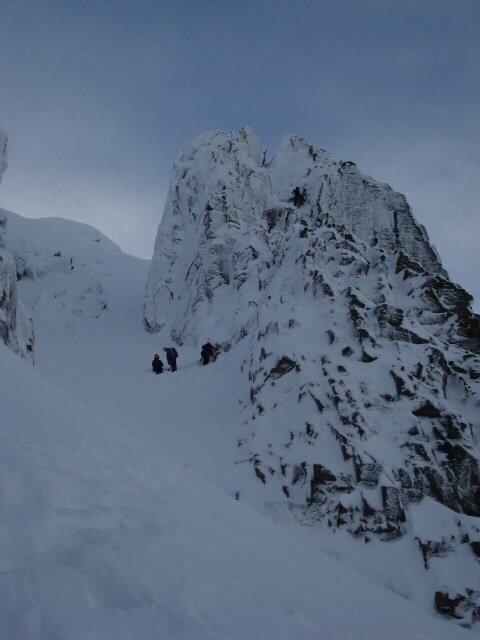 After the initial struggle up the tricky start and then a squashy kind of squeeze up the next little slot, we were onto good neve all the way to the top and no cornice. 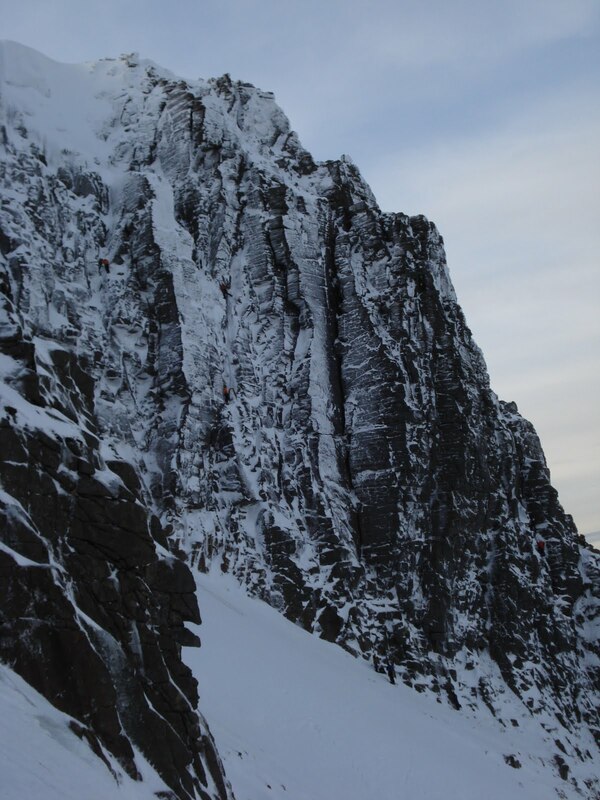 Lots of folk were out enjoying the climbing and there were queues at the popular routes such as Milky Way and Ewen Buttress.